Clear water. Heavy cover and structure. Spool up with premium fluorocarbon designed for flipping and pitching. 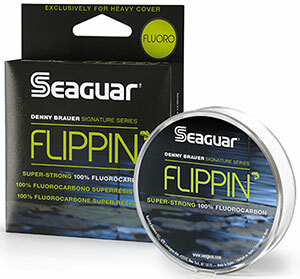 Denny Brauer Signature Series Flippin' Fluoro has it all - best-in-class impact & knot strength, remarkable abrasion resistance and virtually no stretch for extra sensitivity. Better feel for better hook-sets.